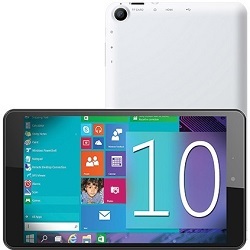 Enjoy surfing the web, watching movies, playing games and more with this great-looking, great-sounding Windows 10 8.0-Inch Tablet. Be more productive on the go with this sleek, stylish Bluetooth mouse. Delivers instant power in a compact, ergonomic design. Take your music anywhere & enjoy high performance sound in a table-top speaker. Get more done on the road or at the office with this slim keyboard & mouse combo. Get more done on the road or at the office with this slim keyboard.